TONS of DESIGNS to CHOOSE FROM! Order custom printed wedding menus online. 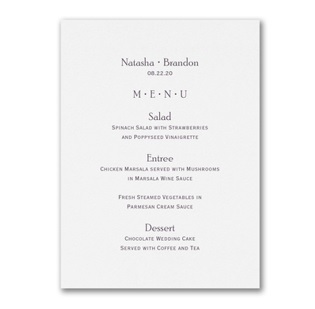 Use printed menus for your wedding reception, bridal shower or other special event. Choose style, lettering type and print color for a custom wedding menu.